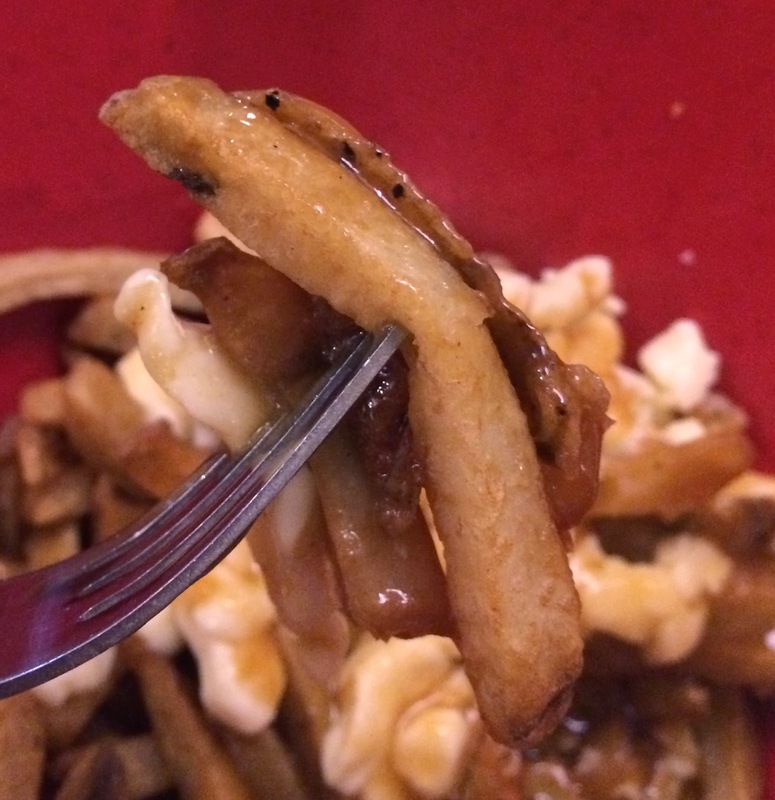 * This is technically my 50th poutine to review including the Poutine Burger that my husband let me have a bite. 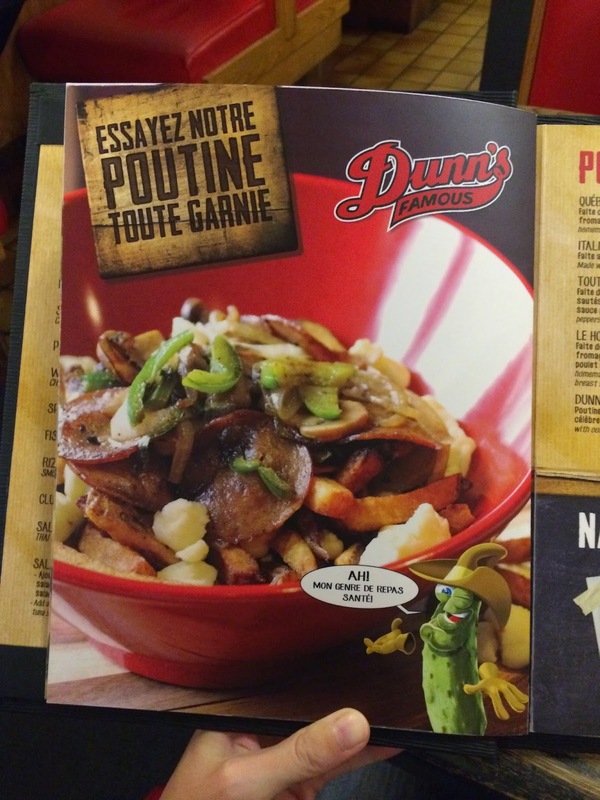 As I'm in Montreal for less than 36 hours, I researched poutineries in advance and some are 24 hours open. 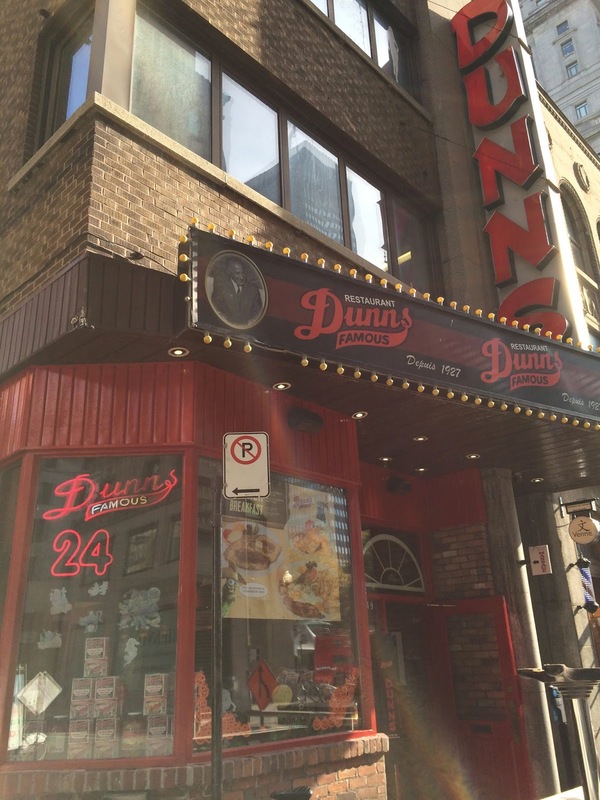 This morning, I went to one of the all-day open restaurants called "Dunn's Famous" in downtown Montreal. I arrived at the restaurant at 10:15 AM and was led to a table soon. Halloween is around the corner, so the restaurant was decorated. 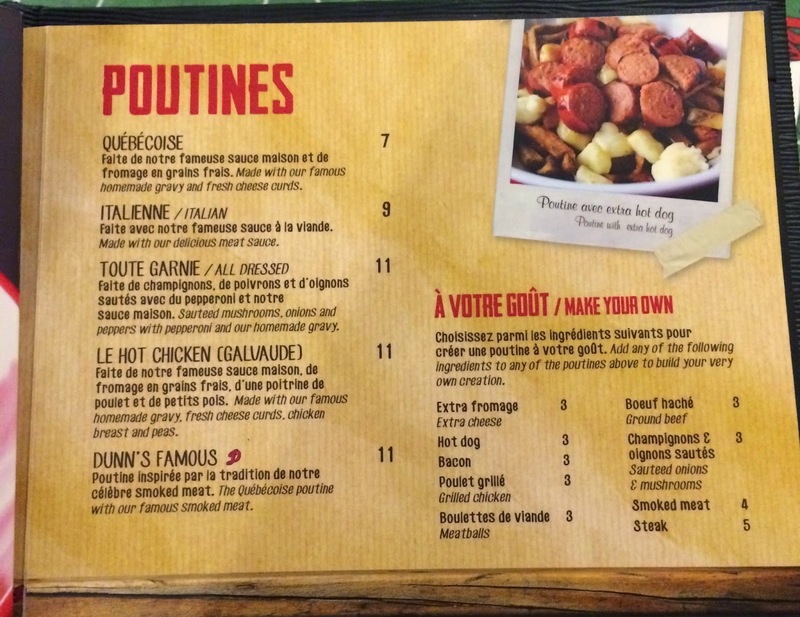 There're many items but I only looked at poutine page and ordered one "Quebecoise" which was the most simple poutine. 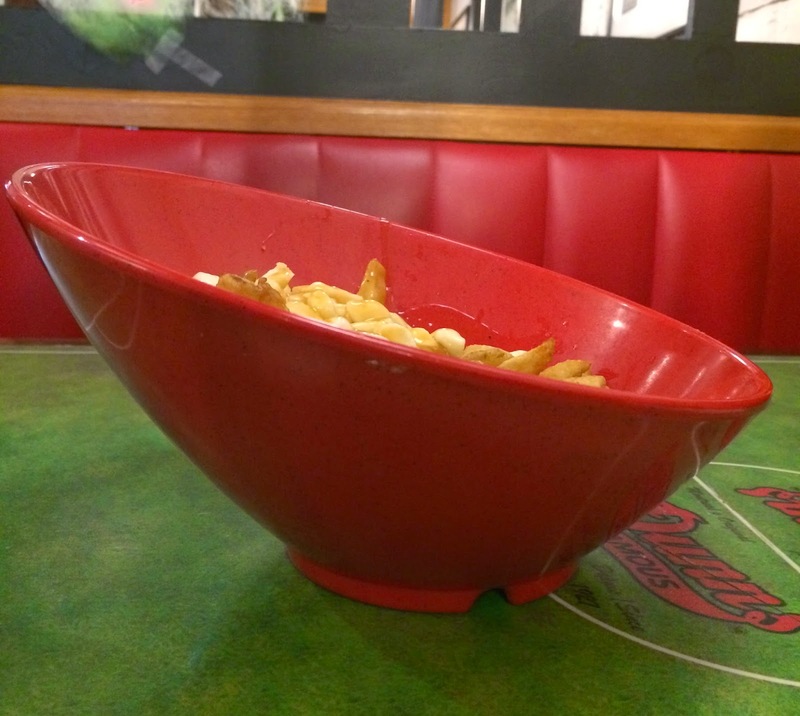 It's served in a large red bowl that wasn't a regular design but with tilted edge. 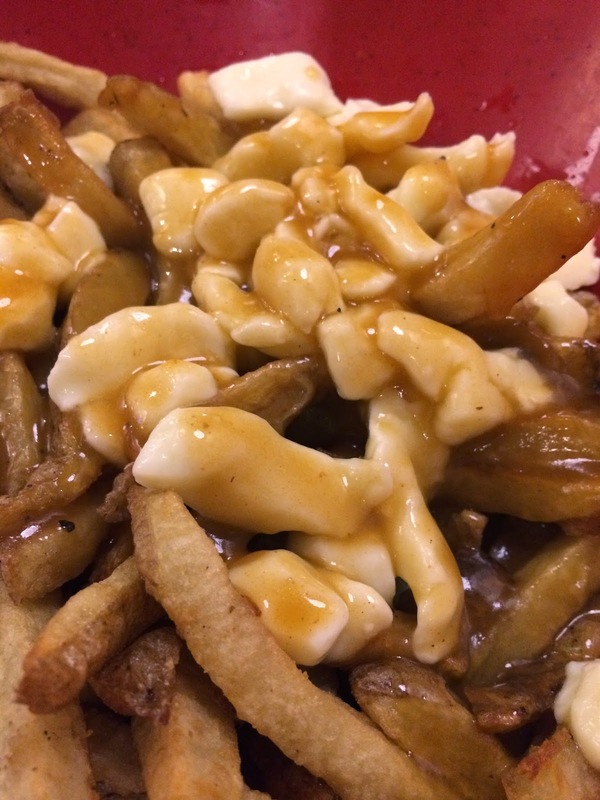 Homemade gravy sauce wasn't poured evenly and some fries were crispy but others were soggy. 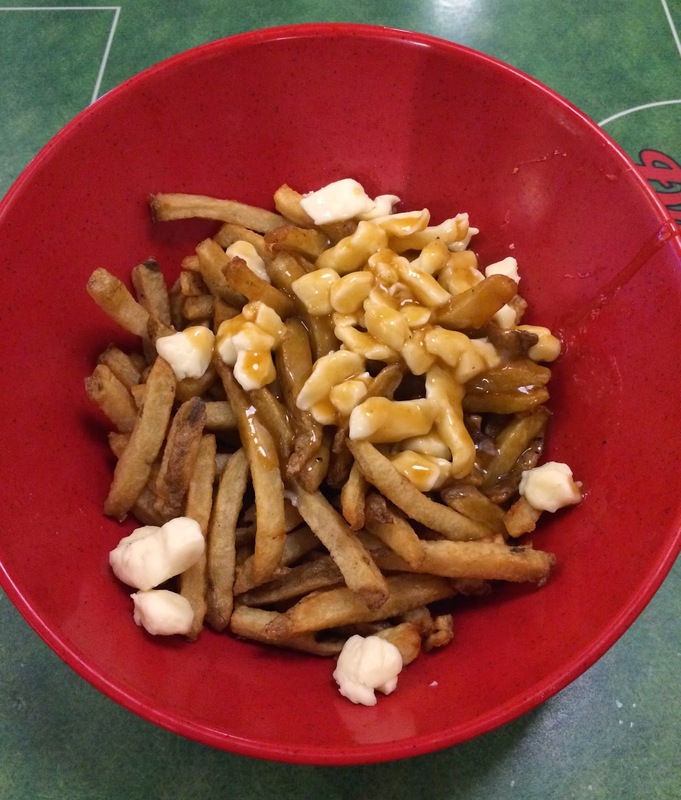 Fries were medium-thick and freshly fried. The gravy sauce had some sort of greenish bitter flavor like celery, but in the end it disappeared and left salty and some sweet flavor. 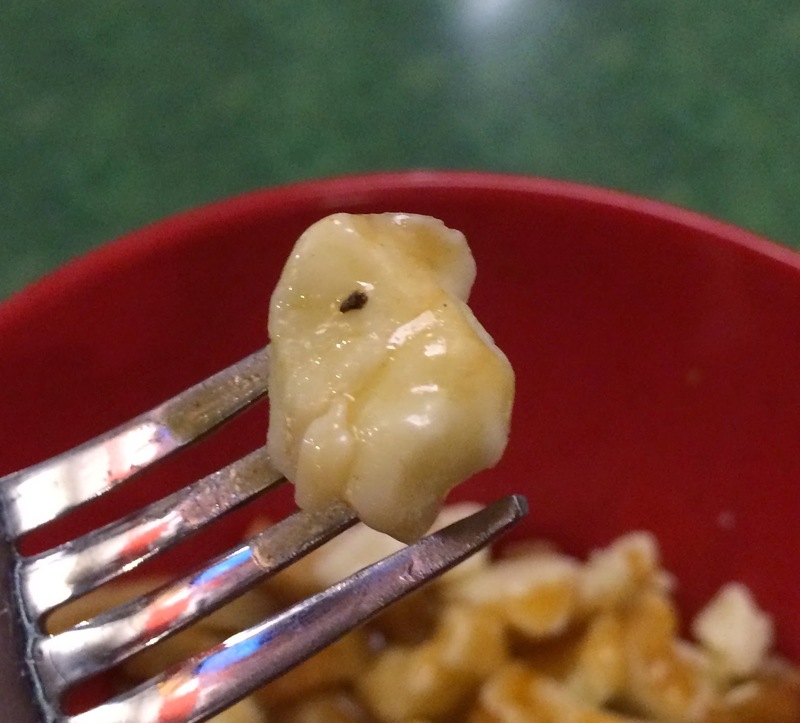 Cheese curds were soft outside, and the center had slight squeakiness. 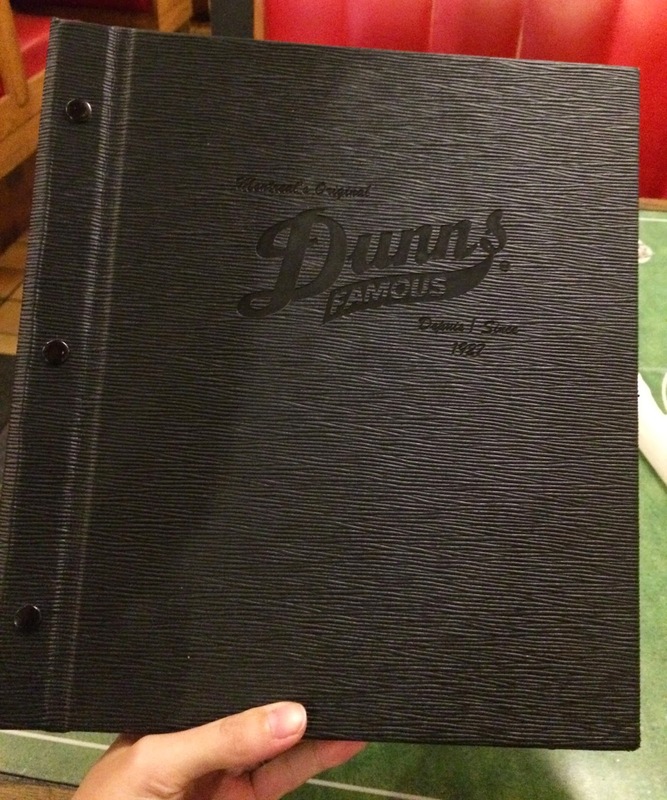 The restaurant was clean and they're kind and quick. Apparently they're famous for smoked meat, and I shall go back for next time I'm in town, especially on a sport event day (like hockey or football game), this place would be suitable.